Description $400 below NADA Retail!, FUEL EFFICIENT 24 MPG Hwy/17 MPG City! CARFAX 1-Owner. 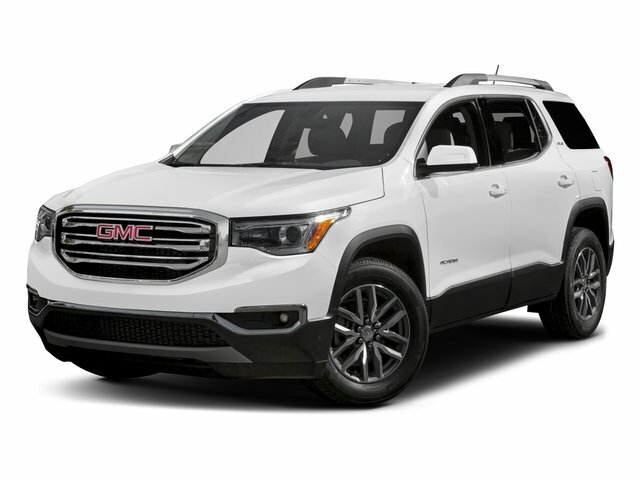 Third Row Seat, Heated Seats, Power Liftgate, Rear Air, Remote Engine Start, Satellite Radio, Back-Up Camera, TRANSMISSION, 6-SPEED AUTOMATIC, ELEC... AND MORE! This Acadia is priced $400 below NADA Retail. Third Row Seat, Quad Bucket Seats, Power Liftgate, Rear Air, Back-Up Camera, Satellite Radio, Remote Engine Start Rear Spoiler, Onboard Communications System, Aluminum Wheels, Remote Trunk Release, Privacy Glass. GMC SLE with DARK BLUE METALLIC exterior and EBONY interior features a V6 Cylinder Engine with 288 HP at 6300 RPM*. More Cargo Volume than Ford Explorer, Ford Flex, Dodge Durango, Honda Pilot, and Toyota Highlander. More Overall Passenger Volume than the Explorer, Durango and Highlander. More Cruising City and Highway miles than Explorer and Flex. Great Gas Mileage: 24 MPG Hwy.